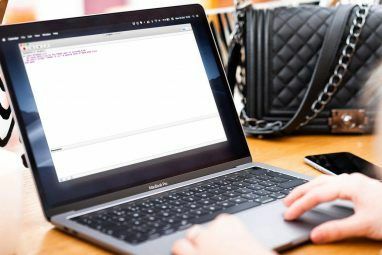 Most beginner Mac users launch applications, open files, documents and windows, and other tasks by either going to the menu bar of an application or using assigned keyboard shortcuts. But advanced Mac users know about the power of contextual menus when getting things done in OS X.
Contextual menus include a custom set of assigned shortcuts and actions that pop up when you right-click or control-click an application, file, or selected text. These menus are useful for when you don’t want to drag your mouse to the menu bar or toolbar to perform an action, or when you can’t remember the keyboard shortcut for a particular item. Today I will show you the common places to find contextual menus on any Mac, and how to use BetterTouchTool How To Use Your Trackpad To Powerfully Navigate Any App [Mac] How To Use Your Trackpad To Powerfully Navigate Any App [Mac] Read More to create contextual menus and how to access them using your Mac’s Trackpad or MagicMouse. If you right-click (or control-click) directly on your desktop, a contextual menu will pop up with the options for creating a new folder, or sorting files on your desktop. 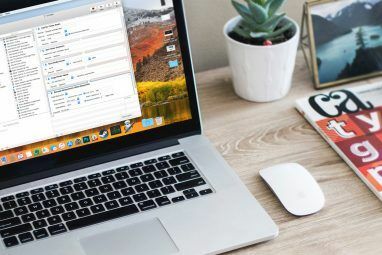 If you right-click on a file on your desktop or in a Finder window, you will get options duplicating the file, sharing it to email or Twitter, moving it to the trash, adding a tag (a new Mavericks feature), and much more. You can go through the list and enable the shortcuts that you want to appear in Services. The items that appear in the Services will depend on the application and/or file you’re right-clicking on. For example, if you select and right-click on some selected text in a webpage, you will get by default the option to copy the text, search that text on Google, or have the text spoken to you. If you have Evernote installed on your Mac, the Services menu might also include an action for copying that text to Evernote. Likewise, if you have TextExpander installed, you can right-click on a word or phrase and select to create a New Snippet With Selection. Again, what appears in Services depends on what you have enabled in System Preferences and the Service menu items that application developers have created for their application. 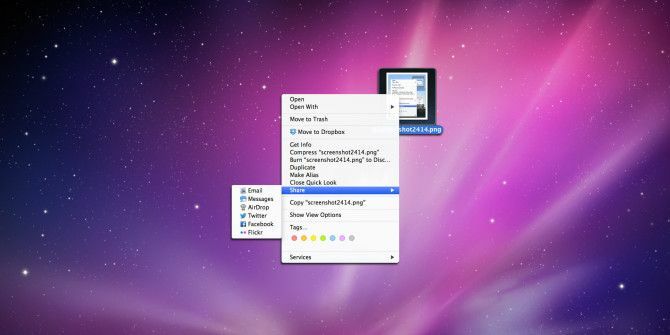 You can also create custom Services options using Automator How To Create Your Own Services Menu Options on Mac How To Create Your Own Services Menu Options on Mac Read More , a topic I’ve tackled before. One of my most-used Mac applications is BetterTouchTool Become A Power Trackpad User With BetterTouchTool Become A Power Trackpad User With BetterTouchTool It's especially useful for Mac users who do lots of work in applications like iPhoto or Aperture, or who surf the web. Read More , which allows users to perform all kinds of actions using finger gestures on their Mac Trackpad or MagicMouse. I’ve created hundreds of shortcuts in BTT for all of my most used applications. BTT is still a free application that is well worth the time to learn how to use. See this article How To Use Your Trackpad To Powerfully Navigate Any App [Mac] How To Use Your Trackpad To Powerfully Navigate Any App [Mac] Read More for how to get started with BTT, and this article Power Up Your Mac With Advanced BetterTouchTool Automations Power Up Your Mac With Advanced BetterTouchTool Automations I started using BetterTouchTool back in 2011, and since then it has become one of the top three Mac applications for boosting my productivity and streamlining my workflow. Though BTT can be used by any... Read More for more advanced tips and features. Now if you find that you like the power of Contextual menus, there’s a way to create a similar function using BTT. For example, when I’m writing articles in MarsEdit, I can do a Four Finger Tap in the application and bring up a list of BTT actions I created, that are based on MarsEdit Write, Edit & Manage Blog Posts Faster With MarsEdit for OS X Write, Edit & Manage Blog Posts Faster With MarsEdit for OS X While WordPress is the quintessential blogging service, writing blogs directly in its text editor is not always user friendly. That's why I use MarsEdit for composing and uploading all of my blog posts. Read More menu bar items and macros I’ve created in Keyboard Maestro Automate Everything On Your Mac with Keyboard Maestro [Mac] Automate Everything On Your Mac with Keyboard Maestro [Mac] I've written several articles about Mac automation, including a MUO Automation Guide on how to get started with Apple's Automator and the built-in OS X features for creating smart folders, playlists, albums, and mailboxes. But... Read More . These actions enable me to create a new post, open a post in Preview, add a link to selected text, and export the blog post to WordPress. Granted, MarsEdit also includes default contextual menu items (see below) that appear when you select and right-click on text, but using the BTT method instead I can create shortcuts that I use most often. To get two or more items to pop up using BTT is pretty simple. All you have to do is assign the same finger gesture to each action that you want to show up as a sort of contextual menu. This works best when you have assigned gestures to selected applications instead of the global menu. The name you give for each action under Notes will appear in your pop-up menu. You can also, of course, assign whatever finger gesture you like. I use the Four Finger Tap for all my contextual menu actions so that I don’t have to remember a different finger gesture for different applications. Also note that BTT actions can consist of several sub-actions, which I explain in this article Power Up Your Mac With Advanced BetterTouchTool Automations Power Up Your Mac With Advanced BetterTouchTool Automations I started using BetterTouchTool back in 2011, and since then it has become one of the top three Mac applications for boosting my productivity and streamlining my workflow. Though BTT can be used by any... Read More . Your BTT menu items can be based on almost any keyboard shortcut or series of shortcuts that you perform in an application. You don’t have to remember assigned keyboard shortcuts to execute those actions. You can simply tap and execute actions whenever you need them. The power of using applications like BetterTouchTool and contextual menus is that you don’t have to create special AppleScript scripts or monkey around with command line hacks. You simply need to take a little time to learn how to set up actions that you normally perform on your Mac. I hope you find this tutorial helpful. If you have any questions about the Contextual menus feature or how to use BetterTouchTool, just ask in the comments section below. Hey Jim, understand how you feel. I have a Mac Pro sitting on the floor for an entire that works just fine, but it can't run Mountain Lion or Mavericks. That's how Apple keeps people buying new Mac. Of course I imagine some software upgrades do require hardware updates. I had to buy an iMac just to keep up with the new OS releases. I'm back again. I found it doesn't work for OS X 10.6.8 Snow Leopard. Darn. My iMac is so old I can only use Snow Leopard and not Lion or above. Oh well. Oops! I just found it on http://www.bettertouchtool.net/ . It is not in the App Store. Yep, you're right. BTT can be downloaded for free from the developer's website. You're going to like BTT. Thanks Jelmer, for providing the link. I should have added it in my article. 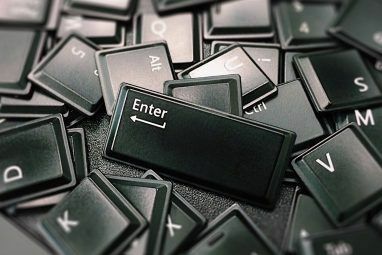 For those who have switched from Windows to Mac, is there a way/app that will allow a keyboard shortcut for the context menu, like what Windows has (http://en.wikipedia.org/wiki/Context_menu), for those that are confused. You can do that with KeyRemap4MacBook. But even if you set a keyboard shortcut, this doesn't work exactly like in Windows. For example in finder, when you use the shortcut it will display the context menu at the location of the cursor, not the location of the selected file (with the keyboard). And now you need the mouse again. Lol, I can't type without using the trackpad or mouse. I've tried using mostly keyboard shortcuts but it's difficult to remember them all.